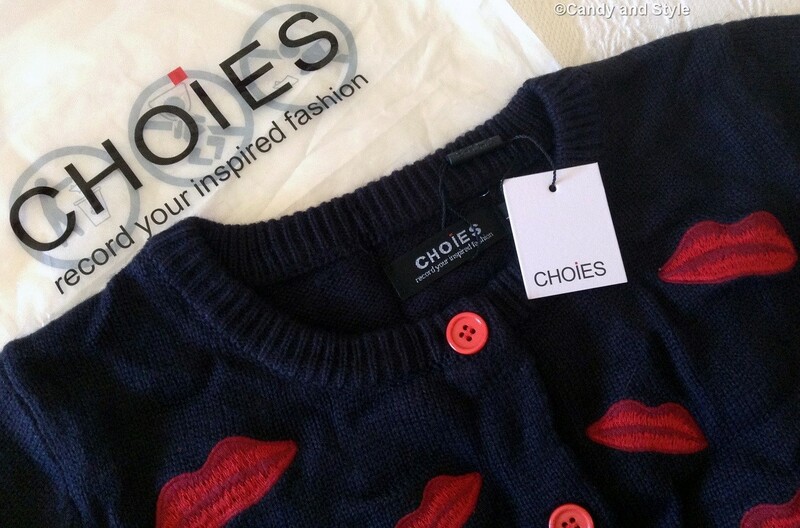 I've recently started a partnership with Choies, the famous online fashion store, and today I show you the first piece I got, this cute lips printed cardigan. To be honest, I was so eager to try their stuff: I always see many beautiful things from them on many other blogs and many times I wondered how their clothes are from real, how is their quality and if the money are well spent (you know, the prices are quite cheap). But let's see my experience in detail, I prefered to write a review, instead of showing the garment on an outfit post, since is my first collaboration with the site and in this way my feedback could be more useful. I start to say I was in trouble to pick the first item, since everyday the site has new tempting arrivals. 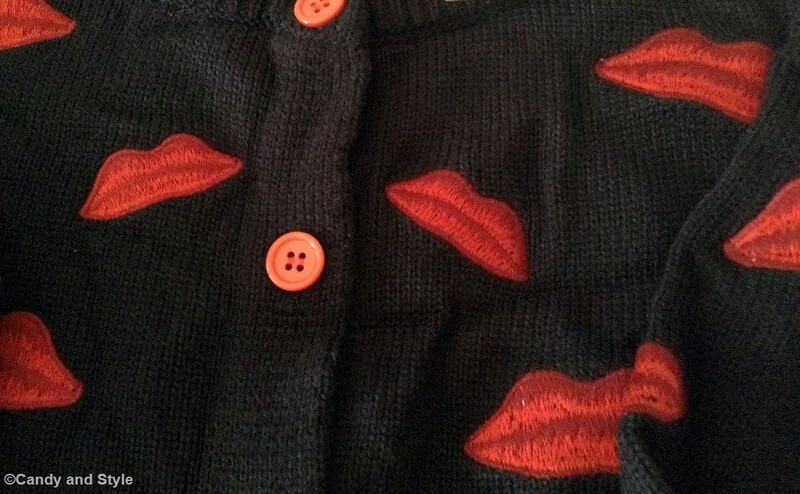 As you already know my obsession with the lips print, I ended to choose only this cardigan to test the site. I placed the order at the first of Sept, it was shipped in the middle of the month and it was delivered last week, on Mon, in Oct; it took a month to arrive but it wasn't a problem at all. I was pretty thrilled while I opened the parcel, I didn't know what to expect and I feared I would have been disappointed. It didn't happened, it was love at first sight. The cardigan is even more beautiful than it looks from the site (you could compare my snaps with the ones from the site), is so soft and warm, and the lips embroidery is well finished. The available sizes are only two: M and L, I selected the L, after having taken my measurements (I highly recommend to do it for each cloth you chose as it could be different). Can't wait to style the cardigan once the temperatures will allow it. Overall, I'm very pleased with it and also with the whole site: the customer service is very nice and kind, I had doubts and problems during the pending time but they was always helpful and polite; I will continue to order from them. At the moment, Choies is sponsoring some cool stuff for Halloween (check it out here) and frequently has many other bargains (check out the flash sale here). Please, visit the site, is there anything particular that caught your eye? If you know it and have already purchased from it, how was your experience? Choies has very good quality. Everything I have received from them is very nice! I can't wait to see your outfit! I'll visit the site to see the new bargains! Be' ma che bello Lilli! Che il motivo a baci e bocche ti piacesse me n'ero già accorta e ora ne ho la conferma! Troppo carino, lo userai un sacco questo inverno! Baci! E' bellissimo il cardigan che hai preso. Davvero perfettamente allineato ai trend di stagione e poi mi piace che sia blu con quelle labbra rosse. Anche io ho visto spesso in giro i capi di questo sito, ma non li ho mai provati. Sono curiosa di vedere il tuo outfit. ma è bellissimo, si vede che è rifinito molto bene e sembra proprio calduccio! il cardigan con le labbra è troppo tuo!!!! cmq mi piacciono tutti sai? un bacino!!! Happy monday Lilli! I know Choies but I dont buy still in this store online, You cardi is very nice, can't wait see You with him. Choies e' veramente uno dei siti (si dice cosi?) di moda che ha i vestiti molto belli e di gran qualita'! Io ho comprado da loro le due gonne e sono stupende, mi piaciono un sacco! Anche, ho comprato le scarpe ma mi sono arrivate troppo grandi... Il tuo cardi e' carinissimo Lilli, e non vedo l'ora di vedere come lo indossi! Adoro il primo cadigan con le labbra! I haven't ever ordered on Choices but I can see why you'd want to order more because this sweater is SO cute and I can picture you wearing it with pretty red lipstick already. :) I love that you showed the close up of the quality too to show it's good because I'm always nervous about ordering online. What a gorgeous Cardigan Lilli :) ,looks super lovely! Hello Lilli!I don't know Choises but the cardigans are very beautiful!! I like most the black with the red kisses!So cute!! My congrats on the new partnership!! Thank you for sharing! !Have a happy week! 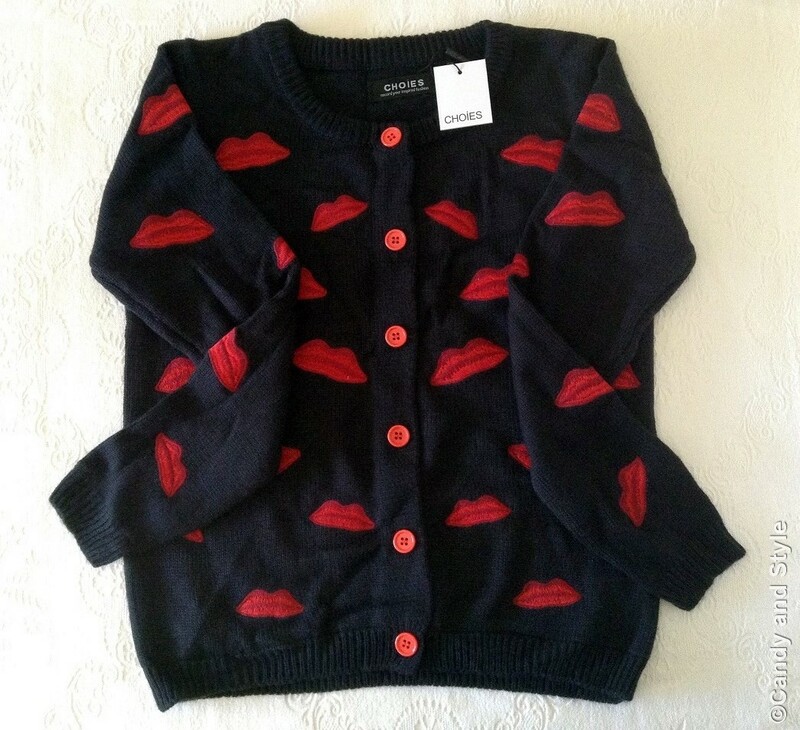 Love that lips printed cardi!! ciao bellezza! carinissima questa maglia lips! non vedo l'ora di vedertela indossata! chissa' come l'abbinerai! ilcardigan con i baci èdeliziosomavisto che halloween è alle porte, anche il maglioncino con lo scheletro è davvero simpatico!! Che bello il tuo cardigan!!!! Mi piace Choies!!! Such a pretty print Lilli! Hope you are having a wonderful day! Adoro tutto ciò che ha le labbra o la stampa con le labbra, pertanto non posso che non amare questo cardigan. Sono sicura lo abbinerai benissimo! 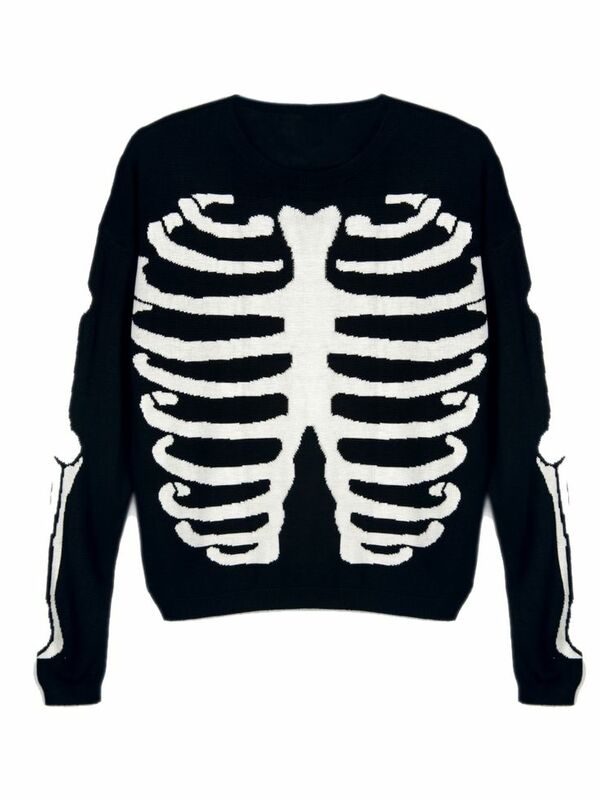 So sweet a sweater!!!!! Lilli have a great week too. Dear Lili, the cardigan is made for you. Each of us knows your passion for lips. ;) The online store sounds interesting. I also saw in the past pretty things from "choies" at other blogs. Now i´m glad for you for this cooperation. They could no more appropriate like you, with your great style. Che bello Lilli, mi piace molto Choices! Un bacio. Ciao Lilli!!!!!! Ma è troppo carino il primo cardigan con le labbra!!!!!!!! Baci e buona serata. This is so beautiful. I cannot wait to see how you style it. Kisses! 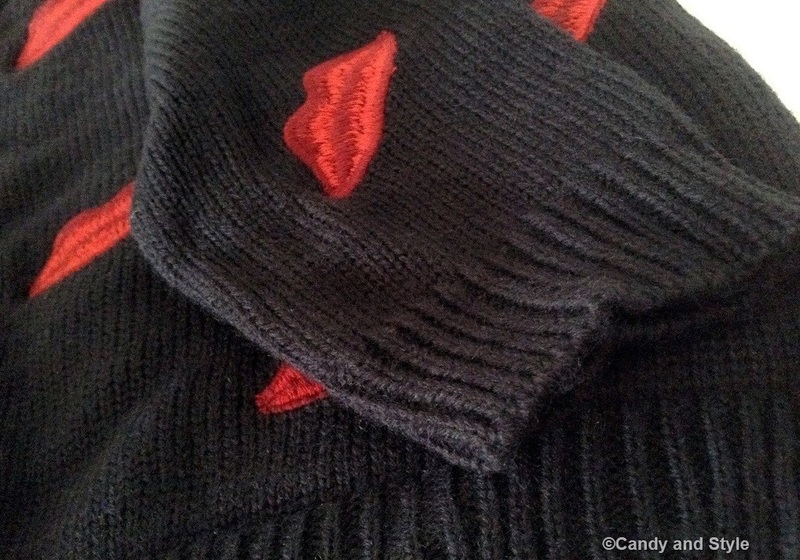 The lips cardigan was worth the wait. So chic! Looks very Saint Laurent. 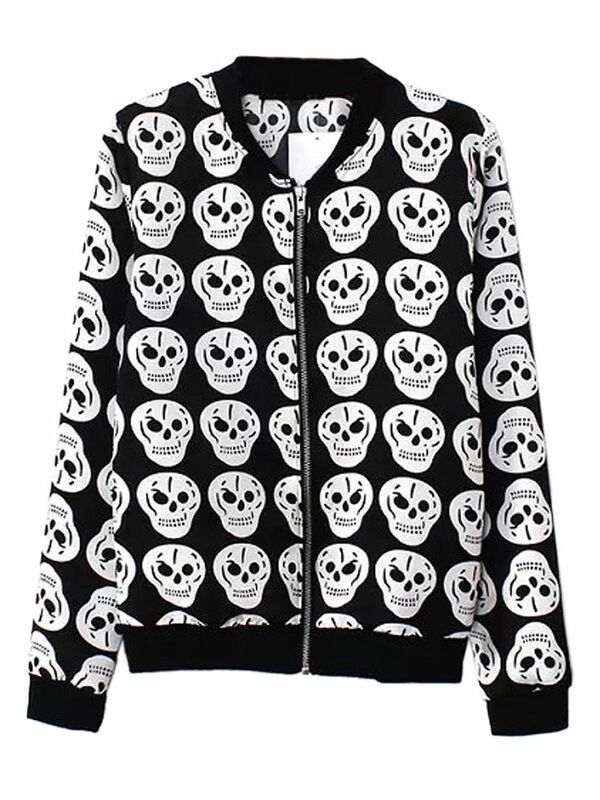 The skeleton print looks so androgynous too. 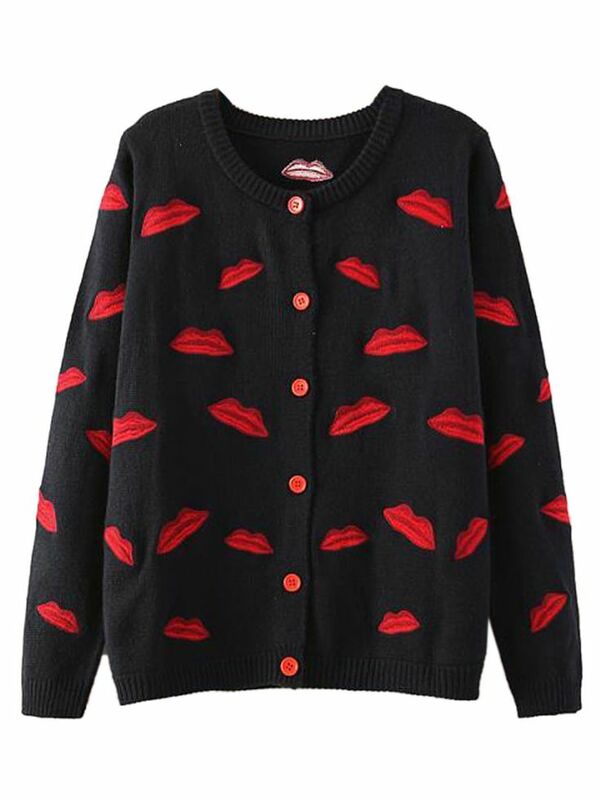 That lip print cardigan is so fun and so you Lilli! From the details to the colors, it looks like it was made for you my dear! Cn't wait to see how you style it. I was approached recently to work with Choies as well but haven't had time to follow up with them. Have a wonderful week sweets! troppo bello questo cardigan ludo..poi a te le labbra rosse piacciono tanto..
ciao Lilli, anche io mi ero sempre chiesta come fossero di qualità le loro robine, e vedo che non sono niente male, questo cardi è adorabile non vedo l'ora di vedertelo addosso!! Lilii, that's a great partnership! 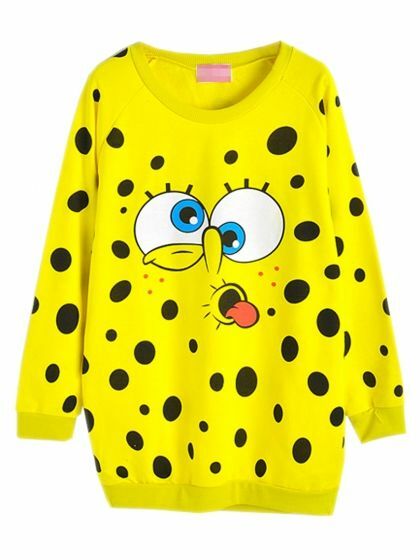 What a cute sweater. The lip trend is so in and chic. Loved your other post with the lip shirt and red jeans. This will look great styled also. Il tuo cardigan è splendido Lilli, il nero e rosso sono perfetti per l'autunno e le labbra sono un motivo troppo originale!! Mi sa che vado a curiosare sul sito per vedere cos'hanno! E' stupendo, anche io adoro la stampa con i baci ma cuciti così sono ancora più belli! Hai fatto un'ottima scelta e comuqnue 1 mesetto di tempo è abbastanza ragionevole come tempo di spedizione in confronto ad altri siti! Non vedo l'ora di vedertelo addosso Lilli, sono sicura che lo abbinerai benissimo! Ciao Lilli. Mi sembra di capire che è valsa la pena di aspettare. Il cardigan è molto carino e aspetto di vederlo indossato. Gorgeous cardigan Lilli, you have made a great choice and I can't wait to see you wearing it! bellissime le tue proposte. il mio preferito è il tuo acquisto>! 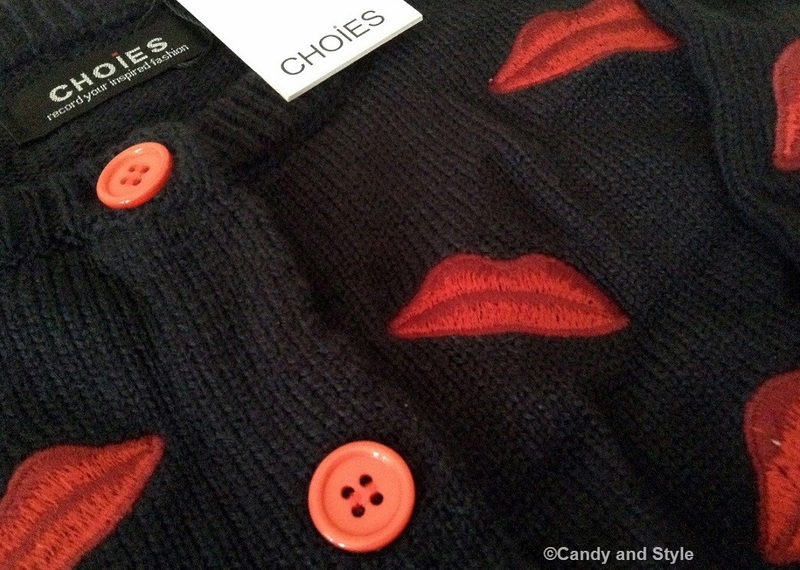 CHOIES has the best collection of cute sweaters - and this lippy sweater is NO exception! Can't wait to see you style it Lilli!!! Lilli ma questo cardigan è adorabile! What fun whimsical sweaters Lilli!!! !